Patience is a new 14" hard plastic and vinyl child doll from Wilde Imagination. Patience is sweet and upbeat compared to Wilde Imagination's more established characters like the elegantly melancholy Ellowyne Wilde and the fashionably creepy Evangeline Ghastly. The debut Patience doll, Garden Patience, was a gorgeous little redhead with bright green eyes and an amazing, romantic dress. When this doll was announced, I was so wrapped up in other things that I missed the beginning of pre-orders. I want to kick myself now, because this gorgeous little doll sold out in a flash. Unwilling to pay the high secondary market prices for Garden Patience, I had to be, ah, patient and wait for the new dolls to arrive. I was thrilled when a trio of Patience dolls was released for pre-order before Christmas. All of these newer dolls are still available on the Wilde Imagination site, and so I figured that this could be a good time for a review. "Ahoy Patience" by Wilde Imagination, $169. Well, I am finding myself insanely busy these days, and I won't be able to get all of the pre-Christmas reviews done that I had hoped, but I do want to (as promised) take you along on my shopping trip to a local, privately-owned toy store. This particular store, called Rainbow Toys (in Falmouth), has been my favorite since we moved to Maine. Rainbow Toys is where I discovered Squishables--the plush critters that ended up being the perfect fun gift for my kids as they crossed the threshold into young adulthood. Large chain stores like Target and Toys R Us have an excellent selection of dolls and a very current inventory of all different kinds of toys, but smaller toy shops have always seemed extra special to me. The owners and staff of these stores put a huge amount of time and thought into hand-selecting their specific inventory. I love the thrill of finding a new small toy shop, because no two of these boutiques have exactly the same offerings. When my children were younger, local toy stores were more than just fun places to shop--they also played an important role in my social life, and in the preservation of my sanity. Whenever I needed to get out of the house, there was a beautifully arranged train table waiting for me at the nearby toy store. My sons found seemingly endless amusement at such tables, and I could usually find at least one other parent desperately seeking the company of an adult. My eldest son met his first good friend at a toy store when he was under two, and the two boys remained close for many years. To me, the most exciting thing about Rainbow Toys is that in the last few months, they have started to carry Arklu's adorable Lottie dolls, which, at the time of my original review, I could only find online at Amazon. Welcome to Maine, Lottie! "Robot Girl" Lottie doll by Arklu. The poll results are in and the majority of you wanted to see a review of the fabulous new Monster High character, Jane Boolittle. Barbie's redheaded friend Midge was a close second place in the poll, though, so I will try to review her soon. Since I have talked about Monster High dolls so many times before, I can just get right down to business and introduce the lovely Miss Jane, who gets her second cover shot in a row! With Hanukkah almost over and the Christmas season kicking into full swing, this is a special, hectic time of year. I love seeing our Main Street come to life with lights, and hearing my kids sing carols out in the cold. Of course another integral part of this season is shopping, and I am thinking hard about donations and gifts--especially presents for the amazing children in my life. 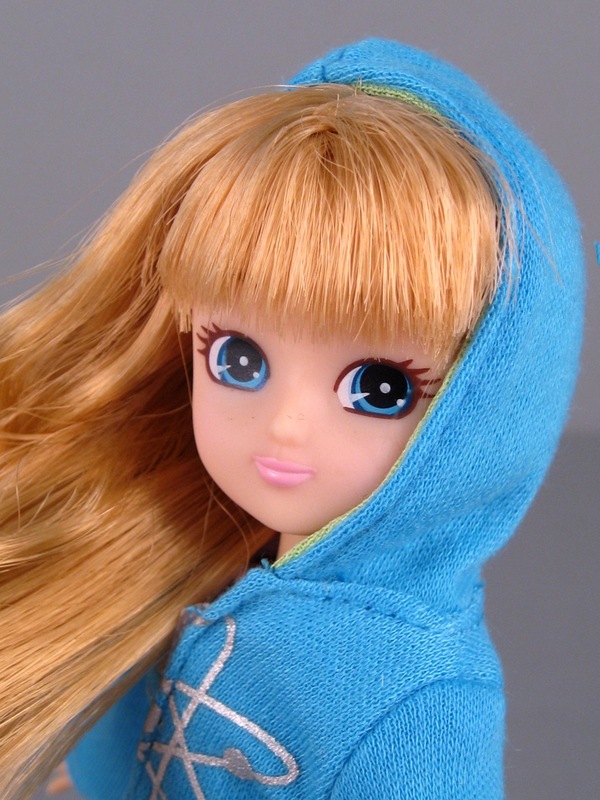 I hope that the content of this blog is helpful to those of you who are looking for a special doll for someone you love, but many of the dolls I review are hard to find, discontinued, or expensive. I thought that in honor of this bustling shopping season, I would head out to a few local stores and see what is available for those of us who are just getting started with our gift-hunting now. I'll show you what I found and give you my top ten list of what I would buy. I also really hope that you will chime in with what you've found in your part of the world and what you think the best dolls and toys of the season are. There is also a poll on the right side of the page where you can vote for the doll that you'd most like to see reviewed in more depth.